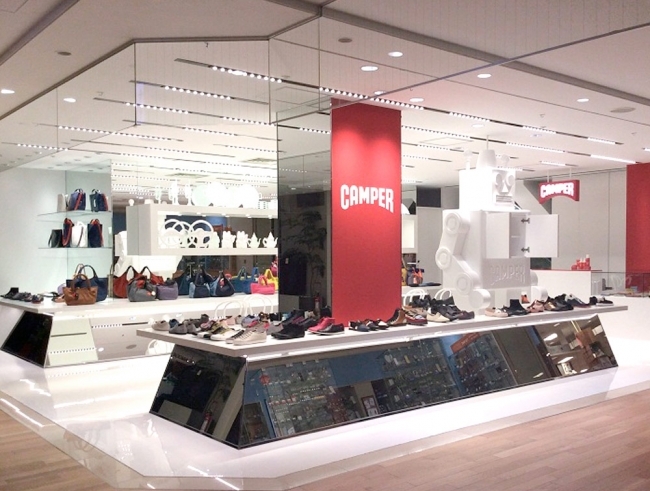 On 7 March a new Camper store designed by Capella Garcia Arquitectura has opened. 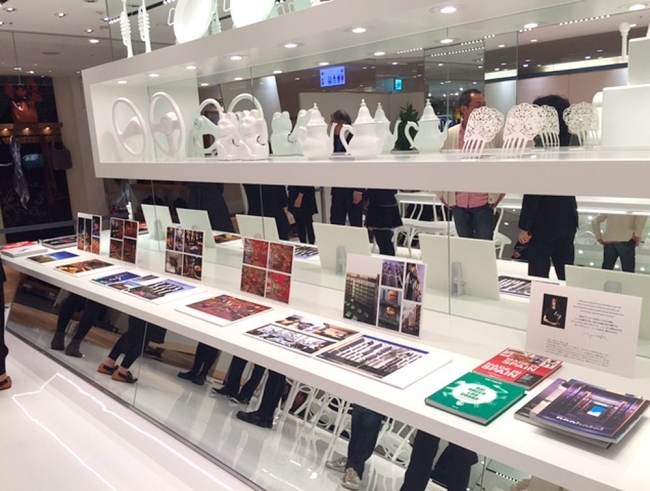 This time located at Tamagawa Takashimaya Shopping Centre in Tokyo. 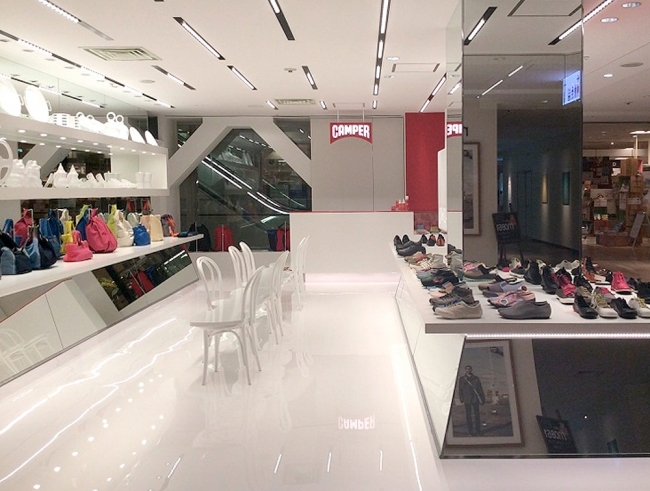 The store design follows the same line of the previous two, in Madrid and Vienna: white as unique color range of the entire container and shoes on display, sharing the spotlight with several pairs of everyday design objects such as jugs, fans or coffee machines, among others. 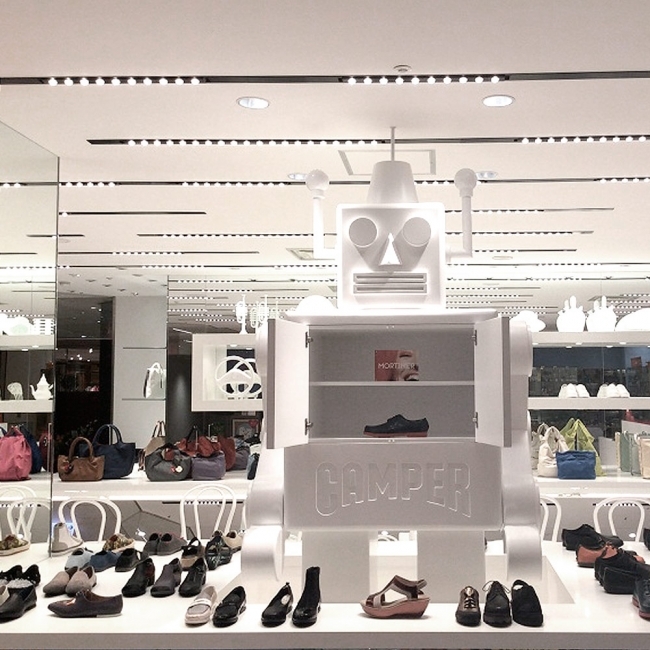 For this occasion has been specifically designed a giant robot toy. Of course, white painted.